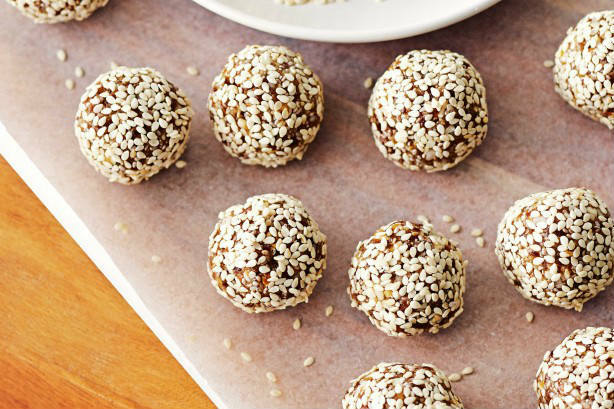 Sesame and Honey: This is a combination that is known for centuries. According to some old records, sesame is grown since the beginning of the human civilization. Even in ancient times young women regularly took sesame mixed with honey to stimulate the glands and to enhance the sexual pleasure. This is the mixture that every person should consume. Besides the beautiful and amazing flavor, this blend is a cure for many diseases. This product is present in dietary regimes and mostly in Mediterranean diet. Sesame is ideal source of vitamins and minerals containing iron, magnesium, calcium, manganese, copper, phosphorus, omega-3 and 6 fatty acids. When it comes to vitamins, sesame contains those of the group E, A and B. A mixture of honey and sesame seeds is a source of essential amino acids and it is considered to be healthy food that everyone nowadays needs. But this food is also caloric and this fact should not be overlooked. The benefits of its consumption are large, and if you want to gain as much benefits as possible you need to consume the mixture in the morning on an empty stomach. Benefits: strengthens the immune system, helps with constipation. It also reduces the desire to consume sweets, helps with diseases of the stomach, gastritis, ulcers and colitis. Honey-sesame combination also strengthens the bone marrow, stimulates mental activity, increases physical endurance, affect the beauty and shine of hair and skin. According to some doctors, sesame and honey, affect on the mood, regulate the chronic fatigue, affects on potency in men and women. Using these two products together can help to reduce stress, to be vital and vigorous – is explained in the latest research which examined the reactions of people who regularly took sesame seeds and honey for up to 6 weeks. Very simple and easy; add ground sesame seeds and honey in a bowl, stir while the honey and sesame join together. You can make balls or other shapes from the mixture and at the end place them in the refrigerator. These cookies may be used even as an additive in other recipes or as decoration. Consuming few of these cookies daily can significantly affect your mood, fatigue and potency – say the experts. To prepare sesame and honey is not a philosophy, but there are many benefits that you can get by merging these two products that are very affordable and very effective for our body. I am overwhelmed with this article. With your permission I would like to print out this work. You can send this and other articles into my mail box if you can. Thank you. Thank you Eric for the kind words. You have our permission to use the article.